The Illini snap three-match losing streak against the Wildcats. No. 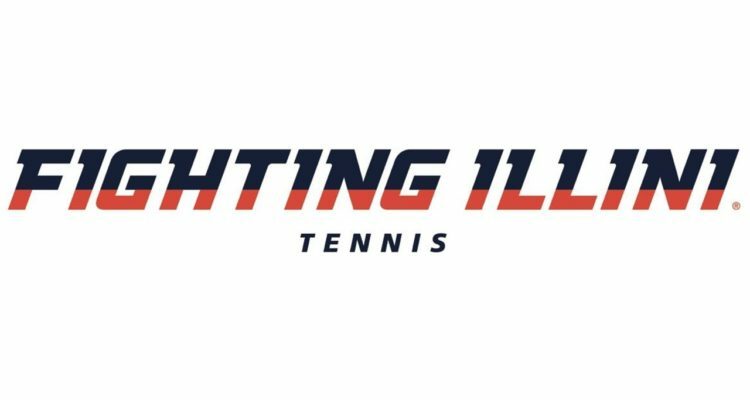 14 Illinois men’s tennis team snap three-match losing streaking against Kentucky on Friday night inside Atkins Tennis Center. With a gritty and tough performance, the Illini defeat the Wildcats, 4-1, to take over the series, 17-16. Illinois remains undefeated with a 3-0 record this season. Junior pair Vuk Budic and Zeke Clark started the match with a 6-0 sweep over Fabian Penzkofer and Kevin Huempfner. For the third time this season, junior Aleks Kovacevic and freshman Keenan Mayo clinched the doubles point with a 7-5 victory over Kento Yamada and Ryo Matsumura. With a 1-0 for the Orange and Blue, sophomore Caleb Chakravarthi won the first singles match for Illinois, defeating Theo McDonald, 6-1, 7-5. Mayo put up a fight against Kento Yamada, but ultimately fell 6-4, 6-4. This put the Wildcats on the board, 2-1. Junior Noe Khlif defeated Kevin Huempfner, 7-5, 6-4. Junior Noe Khlif was the next to add to the Illini lead, winning, 7-5, 6-4, against Kevin Huempfner in straight sets. The victory was clinched by No. 30 Clark in a thrilling three-setter defeating Cesar Bourgois, 3-6, 6-3, 6-2. After dropping the first set, Clark mounted a dominant comeback for the fourth and final point of the match. In a quick turnaround, Illinois returns to Atkins Tennis Center tomorrow night at 6 p.m. CT against ACC powerhouse, No. 8 North Carolina. With their victory, the Orange and Blue take over the series against the Wildcats, 17-16. Earn their first victory against Kentucky since 2015, ending a three-match losing streak against the wildcats. The Illini take over the series with the Wildcats, 17-16. With a 3-0 record, Illinois remains undefeated going into the matchup with the North Carolina Tar Heels. Junior Aleks Kovacevic and freshman Keenan Mayo clinched the doubles point with a 7-5 victory over Kento Yamada and Ryo Matsumura. Junior Zeke Clark clinched the match in a thriller against Cesar Bourgois, 3-6, 6-3, 6-2. This entry was posted in National Tennis News and tagged Fighting Illini Tennis.